In 1958 KarPTI staff was awarded first time with governmental award “Memorable red banner” CC CP of Kazakhstan and Council of Ministries KazSSR for success in work. In 1964 institute was awarded “Memorable Red Banner” CC CP of Kazakhstan and SM KazSSR for success in holding harvest. In 1967 CM LKSM of Kazakhstan and Ministry of Agriculture of Kazakhstan awarded students construction team of Karaganda polytechnic institute with Red Banner, “Students construction of 1967”. In 1968 Ministry of Agriculture KazSSR and Kazakhstan headquarters SCO awarded the best SCO of Karaganda region SCO of Karaganda polytechnic institute with Red Labour “Students construction 1968”. In 1969 Presidium of Supreme Court KazSSR awarded Karaganda Polytechnic Institute with “Certificate of Honour” of Supreme Court KazSSR for merits in formation and organization of works of students construction teams in Kazakhstan. In 1970 CC of KP Kazakhstan, Presidium of SC KazSSR, Council of Ministers KazSSR and Kazsovprof awarded staff of Karaganda polytechnic institute with “Certificate of Honour”in commemoration of 50th anniversary KazSSR and KP Kazakhstan. 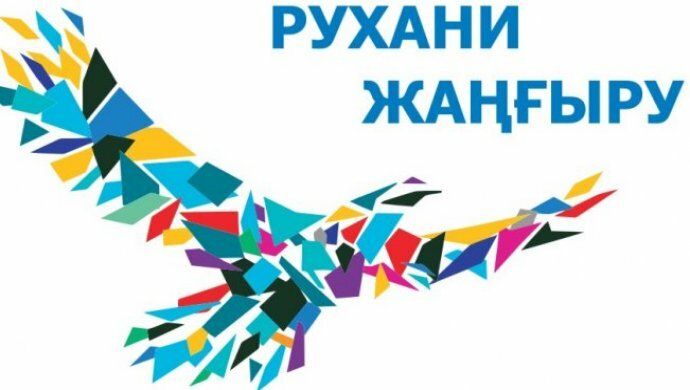 In 1872 Karaganda polytechnic institute was awarded high award CC KPSS and Presidium SC USSR, Council of USSR Ministries and VCSPS “Jubilee honourary mark” for achievement of the highest results in All-union competition in commemoration 50th anniversary of education of the USSR. In 1976 Presidium of SC USSR awarded KarPTI with “Order of Labour Red Banner” for achieved success in specialists training for implementation of scientific researches in the 9thfive-year plan (18.02.1976). In 1976 KarPTI was included into “Golden Book of Honour KazSSR” for high achievements at work (21.05.76). In 1979 CC KP Kazakhstan, SM KazSSR, Kazsovprof and LK LKSM of Kazakhstan was awarded with Challenge Red Banner for achievements in the highest results in Republican competition on specialists training, improvement of academic process, increase of efficiency of scientific researches and improvement of ideological-educational work in staff (20.02.79). In 1979 MVO and SCO USSR, CC trade union of workers of education HS and scientific establishments awarded staff of Karaganda polytechnic institute with “Certificate of Honour” and the second cash prize. 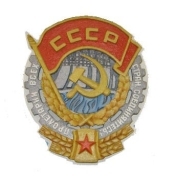 In 1979 CC KPSS SM USSR, VCSPS and CC VLKSM awarded staff of Karaganda Order of Labour Red Banner polytechnic institute “Challenge Red Banner” for achievements of the highest results in All-union social competition, increase of production efficiency and quality of work, successful implementation of plan of economic and social development for 1979. In 1980 MV and SCO USSR, CC trade union of education workers of HS and scientific establishments awarded staff of Karaganda Order of Labour Red Banner polytechnic institute “Transiting Red Banner” with the first cash prize. In 1980 CC LKSM of Kazakhstan awarded the best regional students construction team of KarPTI “Polytechnic – 80” with “Challenge Red Banner”. In 1981 KarPTI was included into “Golden book of KazSSR Honour” by enactment of CC KP of Kazakhstan, Presidium of SC and SM of Kazakh SSR for high performance in five-year plan realization. 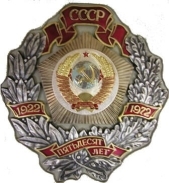 In 1982 CC KP Kazakhstan, SM KazSSR, Kazsovprof and CK LKSM of Kazakhstan awarded staff of Karaganda Order of Labour Red Banner of polytechnic institute – a winner in the Republican competition “Challenge Red Banner” and Diploma for big achievements in high-qualified specialists training for agriculture of the Republic. In 1984 Minvuz of KazSSR and the RK trade union of workers of education and higher schools and scientific establishments awarded staff of Karaganda Oder of Labour Red Banner of polytechnic institute with “Challenge Red Banner” for success in training of high-qualified specialists for agriculture of the country, over fulfillment of obligations among universities of the Republic of Kazakhstan for 1983. 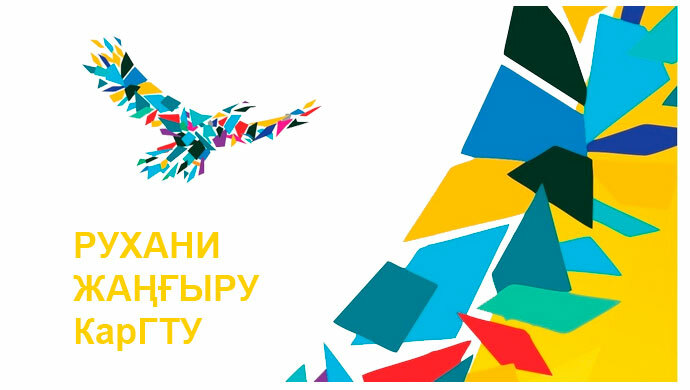 In 1984 SCT “Polytechnic” is awarded with honourary “Red Banner” CC KP Kazakhstan and SM KazSSR for high achievements at work, productive and social-political activity in honour of the 30th anniversary of Virgin soil and the 25th anniversary of SCT movement. In 1988 CC KP Kazakhstan, SM KazSSR, Kazsovprof and CC LKSM of Kazakhstan awarded staff of Karaganda Oder of Labour Red Banner of polytechnic institute – a winner in the Republican competition for the best results in carrying out fundamental and applied researches, creation and implementation technique of new generations in 1988 “Challenge Red Banner”. In 1988 Ministry of Education of KazSSR and workers of the RK people’s education and science trade union awarded staff of Karaganda Order of Labour Red Banner of polytechnic institute with “Certificate of Honour” for achievements of high results in education and upbringing of future specialists in accordance with requirements of restricting the higher school. In 1989 CC KP of KazSSR, SM KazSSR, Kazsovprof, CC LKSMK of Kazakhstan awarded staff of Karaganda Oder of Labour Red banner of polytechnic institute –a w9inner in republican socialist competition for the best results in carrying out fundamental and applied researches, creation and implementation technique of new generations, high-effective technological processes, highly-productive kinds of agricultural crops and breeds of animal in 1989 with “Challenge Red Banner”. In 1989 CC KP Kazakhstan, VCSPS and CC LKSMK awarded SCT team of Karaganda polytechnic institute “Challenge Red Banner” for successful training to the third labour term. In 1989 Board Presidium of the Union SRI USSR awarded staff of Karaganda Order of Labour Red Banner of polytechnic institute with “Certificate of honour” for the 1st place on “Fair” of scientific-technical workers and ideas of 1989 year. In 2002 International Association of Industry Assistance (SPI) of Paris awarded KSTU – winner of International programme “Golden medal SPI”, “For dynamic development, high quality of goods and services”. In 2005 International fund FEBR (Geneva, Switzerland) awarded with golden medal “For high quality in business practice”.